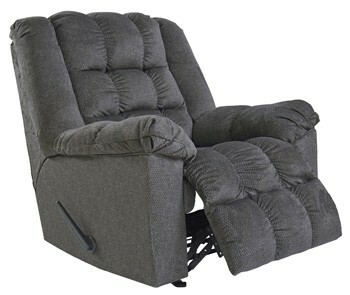 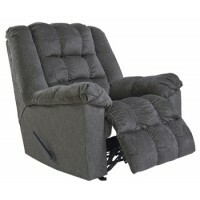 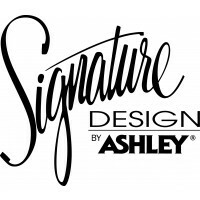 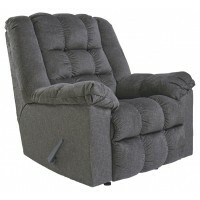 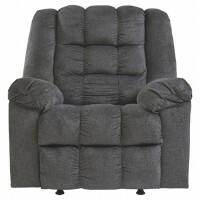 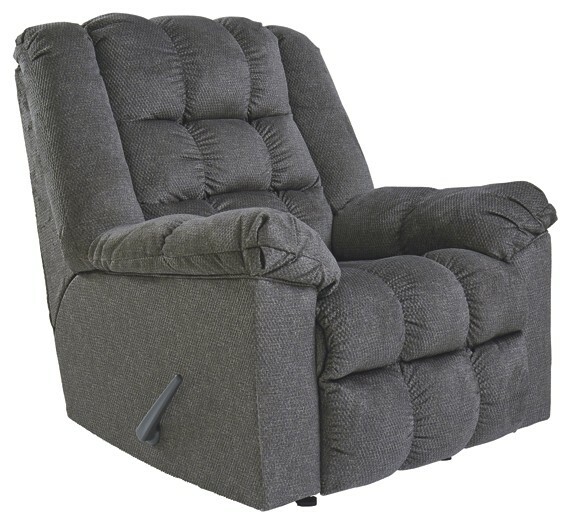 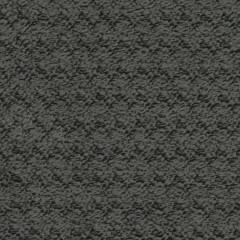 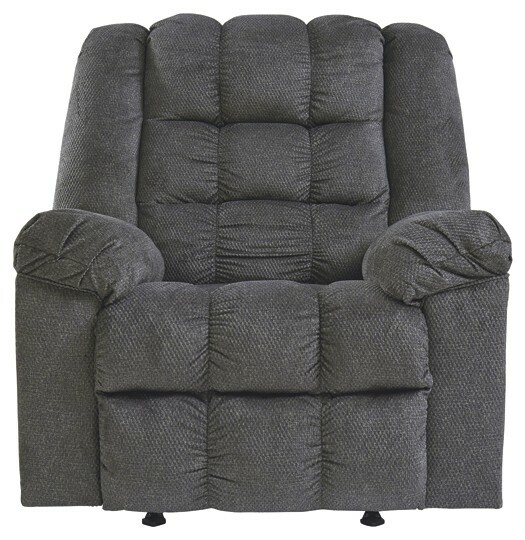 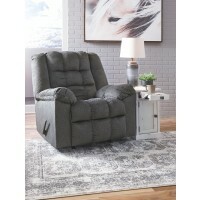 Intensify comfort in style with this rocker recliner. 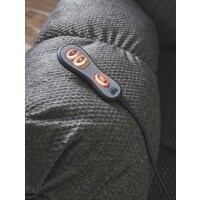 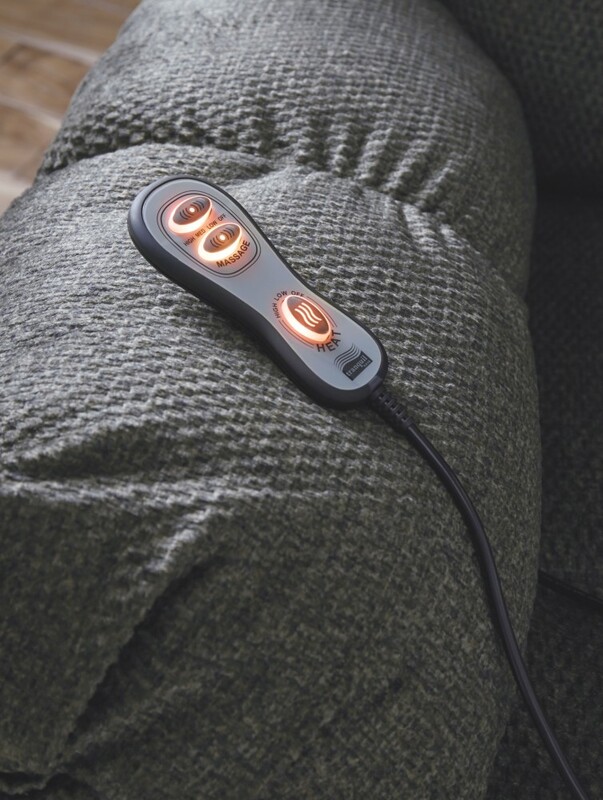 Simply pull the chair lever to recline and with the hand-held remote, heat the seat and put on the massage. 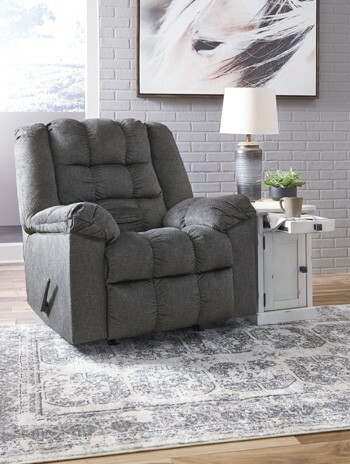 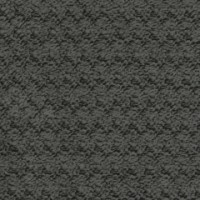 Enjoy the super plush feel of the tufted upholstery and pillow top armrests—what a way to unwind and relax.